Special Icaro Tufftalk Helmet Packages! We are now importing directly and building great integrated PPG Com Helmets at an incredibly good price! Starting with the Icaro Skyrider TZ and Solar-X Helmets, we are adding the Sena Tufftalk integrated Helmet Mount Communication System. Learn more about this great setup by clicking on either of the pictures here. Communication Helmets allow us pilots to communicate with each other while engaging in our favorite activity - Fying our Paramotors!! 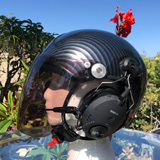 A good com helmet will protect our ears from the deafening sound of both the paramotor engine and the propeller spinning at incredible speeds. These helmets come in many sizes and some include a removable and adjustable visor, while on others the visor is optional. The BlueTooth communication systems allow you to have direct connect intercom with local pilots Plus, you can connect to your smart phone or other device via BlueTooth for communication via cell phone and even allows you to listen to your music. Some com systems also have a radio feature built in to allow the use of family and HAM band radios. 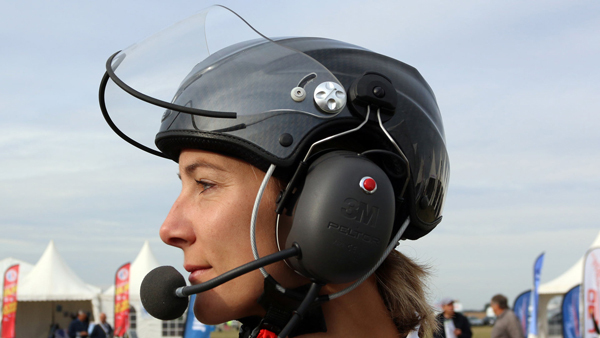 Most pilots want the best of both worlds, so helmets that integrate these two features are the most popular. These PPG Helmets are the result of years of research in the Powered Paragliding community. We took the time to find out what pilots wanted in a communication helmet and this is the result. The combination of the quality of workmanship, materials used, great looks and affordable price will make these helmets popular among PPG pilots.